We want to help you learn about post and beam construction. 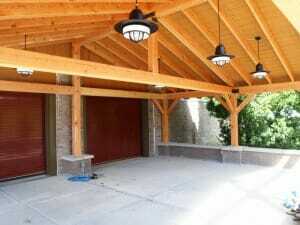 Give us a call if you are thinking of building a post and beam barn, garage, horse barn, or pergola. 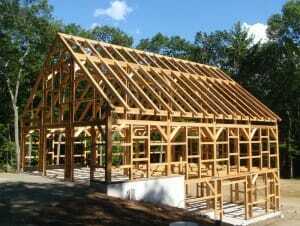 We will give you great customer service and deliver a beautiful top quality timber frame – on time and on budget. 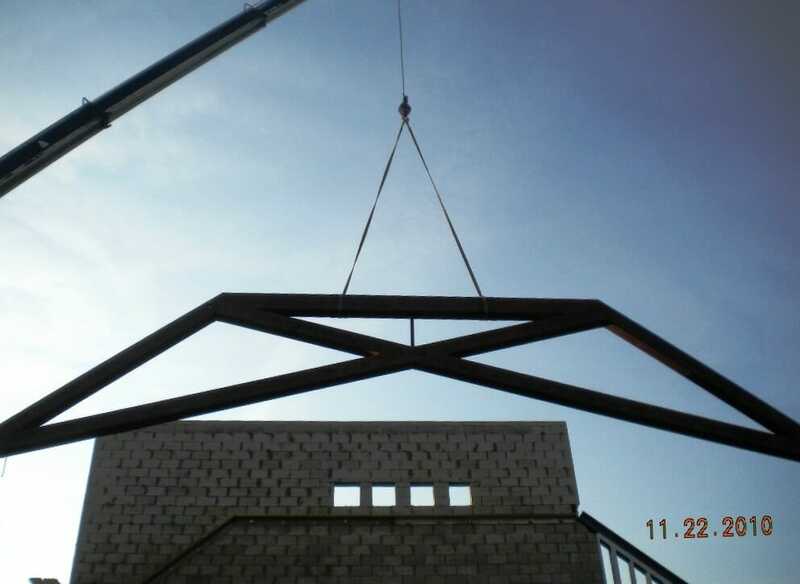 We will even provide a 3d computer generated model of your frame prior to fabrication so you can see exactly where all the beams are going, and how they will look. 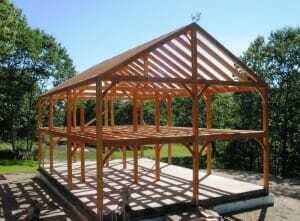 The images below are of timber frames and post and beam frames. 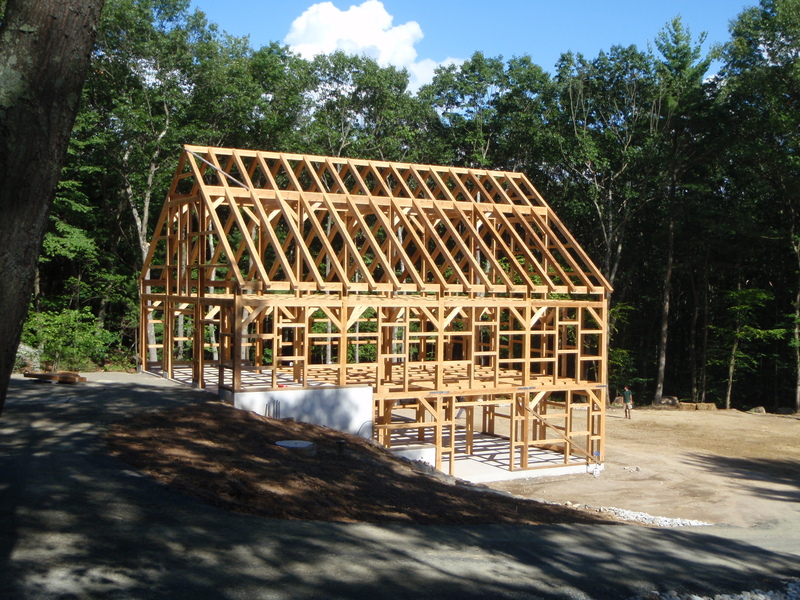 Although the phrase “timber frame” and “post & beam” are often used synonymously, their meanings are slightly different. 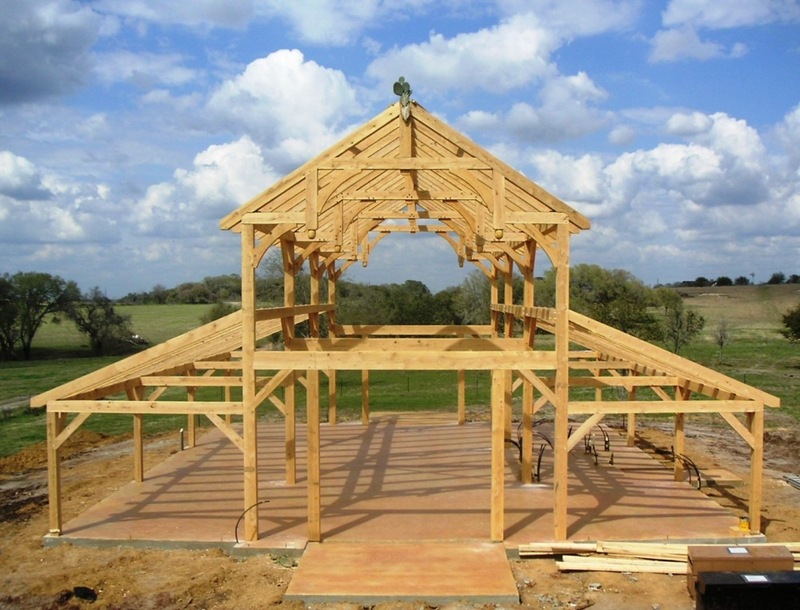 Timber framing involves the intricate cutting of joints to hold timbers together. It is complicated and beautiful, using tehcniques that have been around for thousands of years. 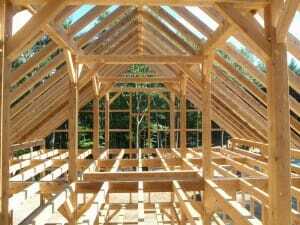 Post and beam framing is more simple – and actually an older style – with main carrying members (bents or lintels) supporting joists and rafters that are notched in to the beams. 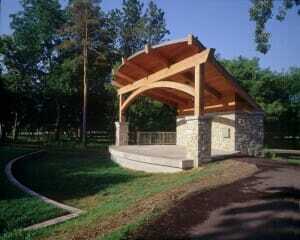 Stonehenge is the perfect example of post and beam construction using stone instead of timber. 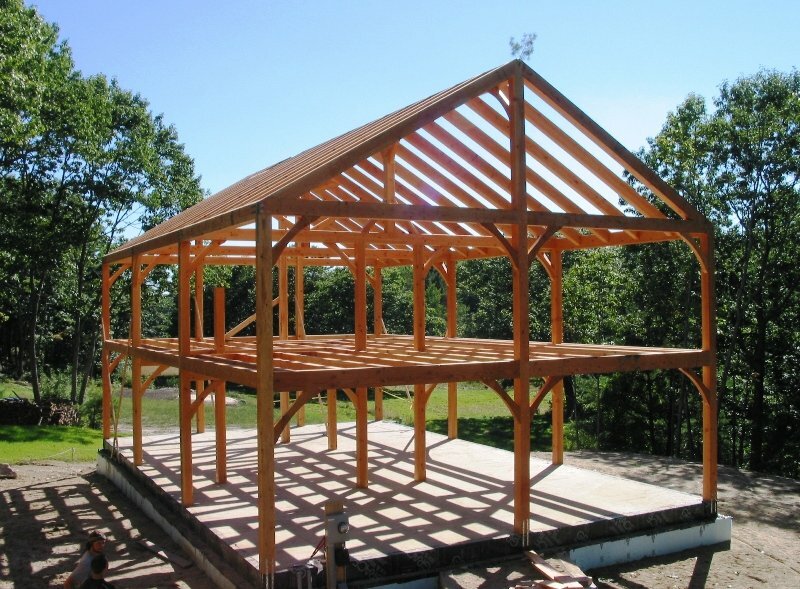 This beautiful barn is a hybrid, with timber framed bents and post and beam rafters. 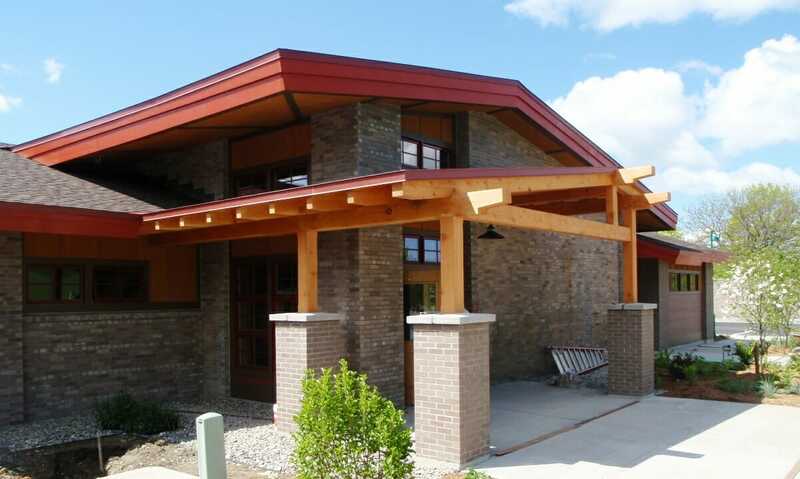 This timber frame uses traditional post and beam design with a glulam arch and timber rafters on a radius. 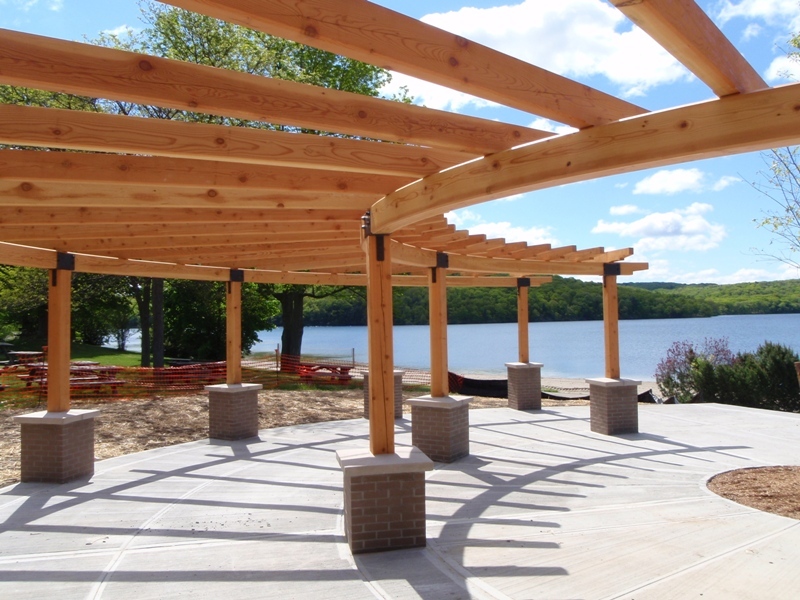 Douglas fir post and rafter plates support post and beam rafters with decorative ends on this entryway at Lake Taghkanic State Park in New York. This hand hewn post and beam pine frame is featured in House Beautiful. It is part of an addition to an original 1700 circa tavern in Connecticut. 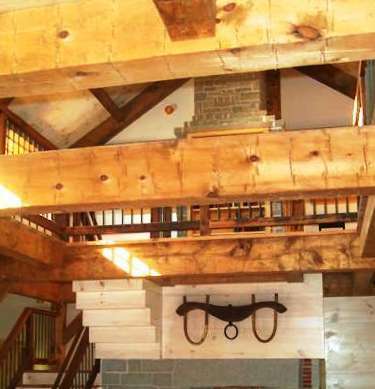 This a dual purpose post and beam barn: horses on the first floor, and equipment upstairs. It uses traditional timber joinery and post and beam rafters. 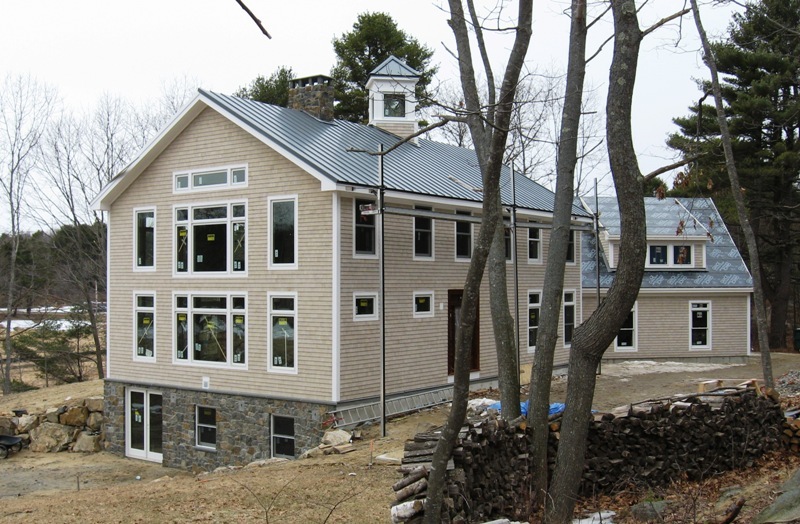 4×6 nailers are installed on the outside for windows and siding. 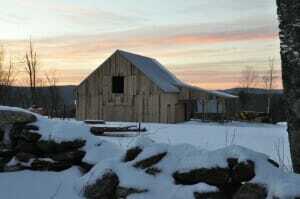 The outside of a post and beam barn under construction in Vermont. Another example of timber frame joinery. 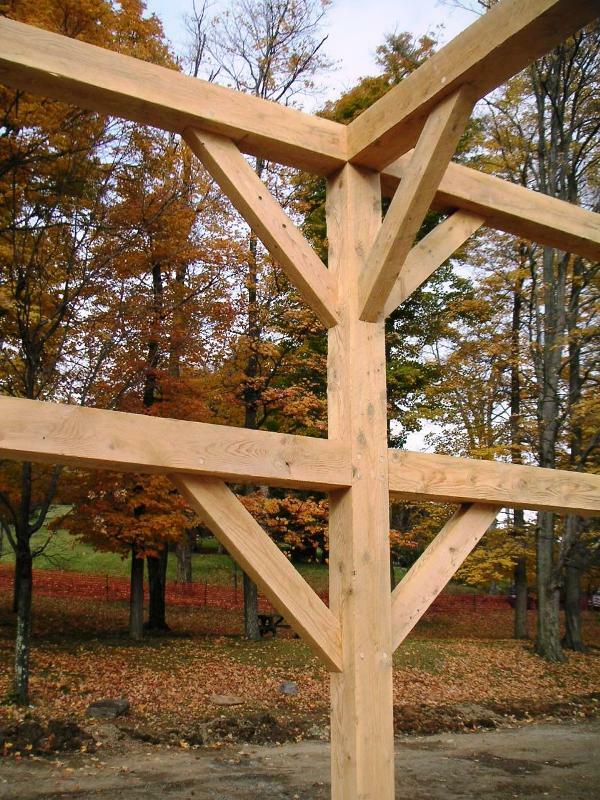 A post and beam connection is usually simple with a beam simply set on top of a post. 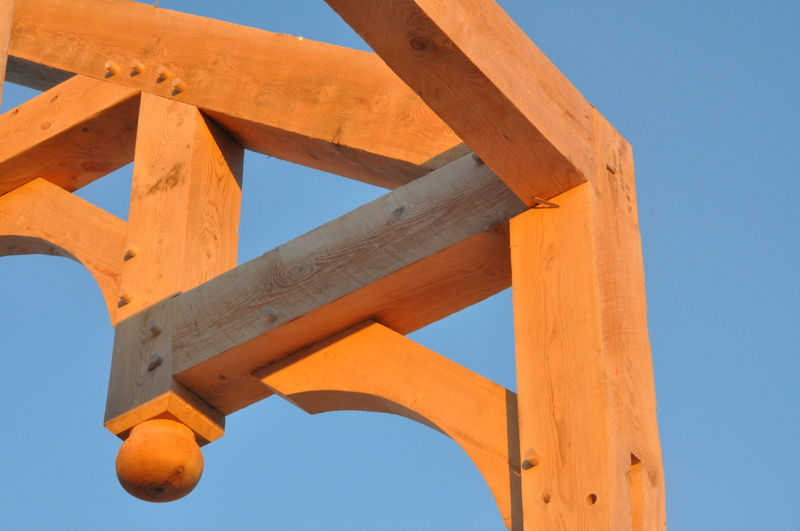 Timber framed connections are joined with mortises, tenons, and wood pegs. Vermont Timber Works built many rustic camper cabins for the Fresh Air Fund in Fishkill, New York. 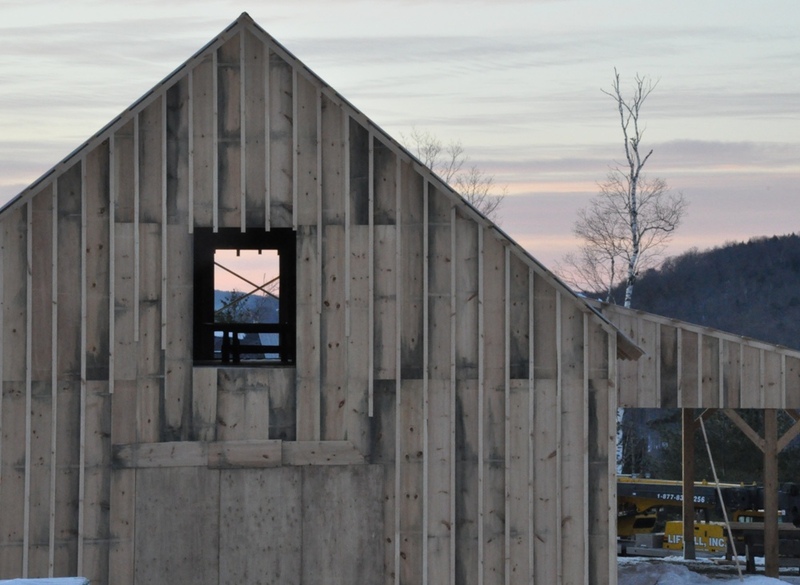 The cabins have a simple post beam design, by the Geddis Partnership, that is pretty and efficient. A finished post and beam home with windows, doors, and roof installed. 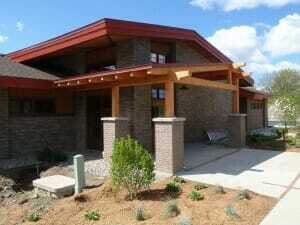 Having a timber frame as part of the home was a great design idea. 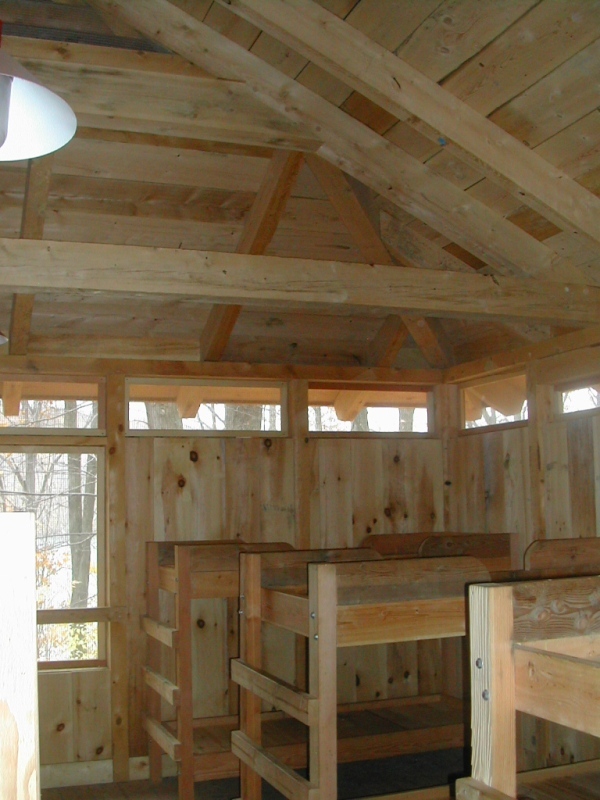 This photo shows the inside of a typical Fresh Air Fund camper cabin. 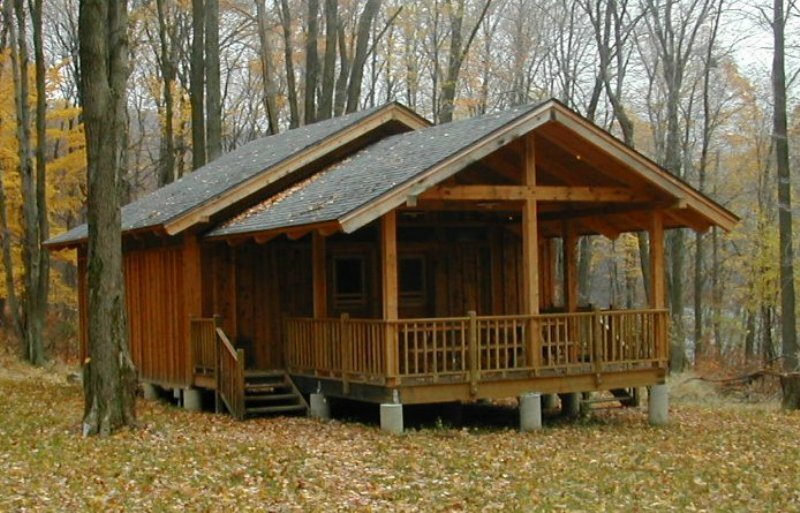 The cabin was constructed using rough sawn hemlock timbers, posts, plates, and rafters. 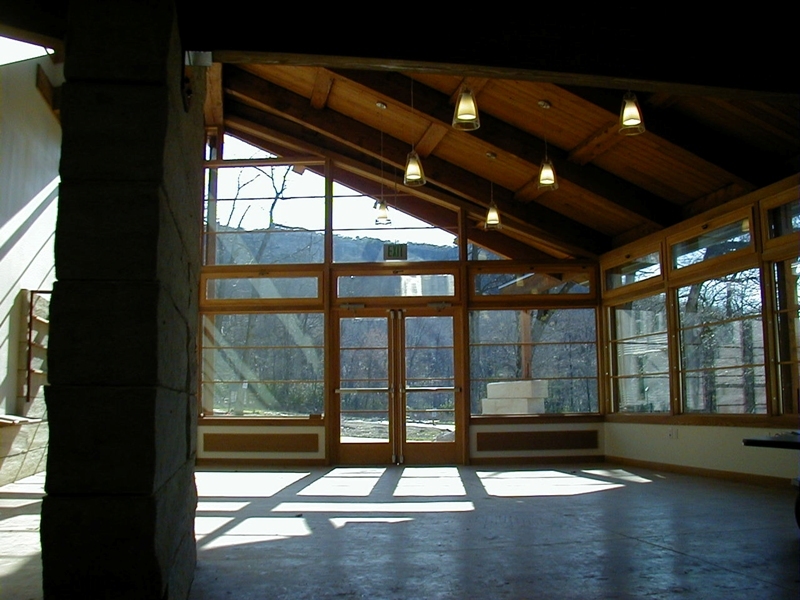 The Olana State Historic Site in New York needed a traditional post and beam barn. VTW was happy to help. 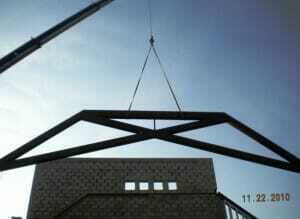 This photo shows posts, beams, and braces that were installed by VTW. 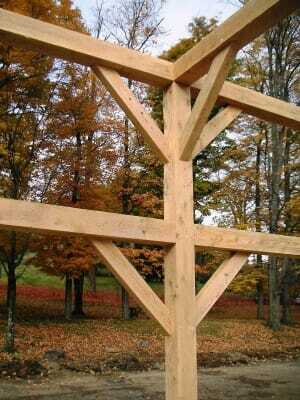 This photo shows a timber framed truss, which is technically different from post and beam construction. 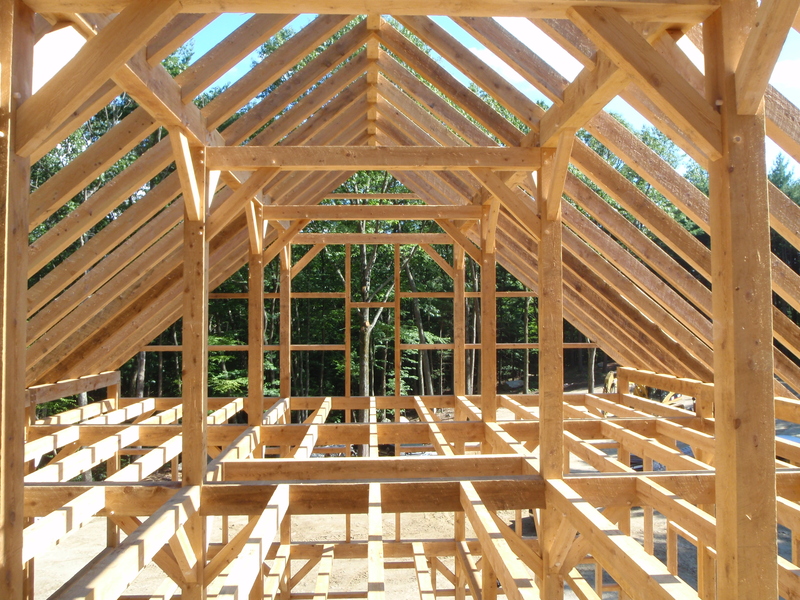 Timber framed connections are more complex and transfer loads in a different way. 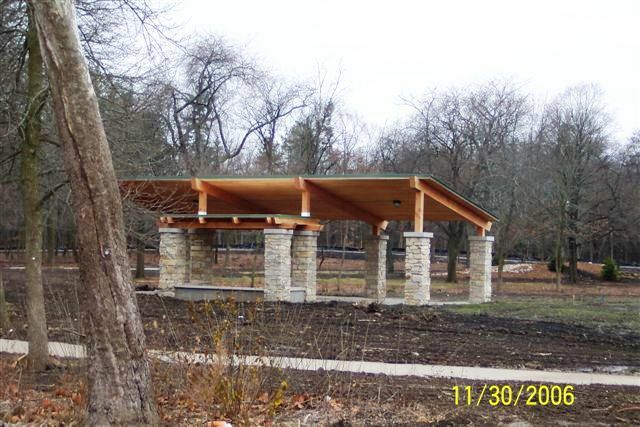 Another example of how simple post and beam building techniques can make a beautiful pergola. This pergola frame, at Lake Taghkanic State Park, uses glulam arched beams and douglas fir posts. The timber rafters above have decorative ends. 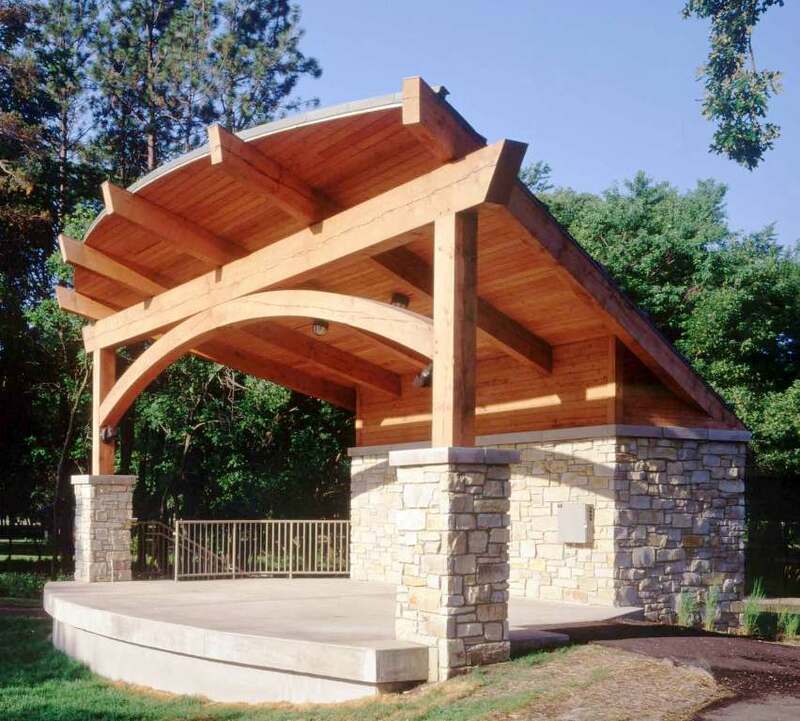 This great project for the Nature Conservancy was designed by Bialecki Architects and used forest certified lumber, certified by the Forest Stewardship Council (FSC) native hemlock timbers in a natural setting.